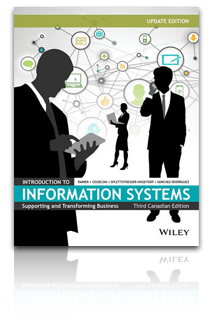 Posted November 1st, 2010 by Jim Clark & filed under ERP, Software, Supply Chain Management. Why should you get a third-party review of the ERP training plan and process? Why is training a disappearing resource in ERP implementation? 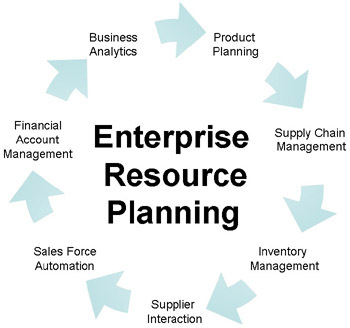 How would you consult your organization in relation to having a successful ERP implementation? This is an interesting article. I like it — very much so. I once was hired by a particular company to help that company evaluate itself and to share with that company some recommendations for performance improvement, and this particular article reminded me of this. I enjoyed doing this — very much so. My strong research background and data analyzing skills helped me with this. I was an employee of the organization in question while I evaluated it, and so was not a “third-party reviewer” of the organization in question. If I had been a “third-party reviewer” (non-employee of the company in question), my evaluation of the organization in question might have been more objective, and less biased, than it otherwise may have been. Maximal objectivity and minimal bias are a couple of the main reasons why “third party reviewers” are important. I would probably read related professional literature, and search for other evaluation frameworks used in the field, and draw from these as well, while simultaneously letting my own research methods knowledge and creativity shine through with my assessments. I read this article because the headline caught my attention. Just this past year the organization I worked for decided to implement a new ERP system, it has been a year or so in the works and its main focus to my knowledge is an accoutning sytem supporting the other various functional areas including payroll and procurement as well as HR. I think that the training required for a system of this magnitude is extensive. People are hesitant towrads change so if they are kept in the look and have the opportunity to have training sesions througout this may help provide constant feedback througout the process rather than after the system goes live the project team receiving a multitude of negative feedback and questions becasue employees don’t remember or know how to use the system to its full potential yet or becasue they feel they were not included in the process from the beginning. I think that consulting end-users before deciding to implement a system is just as important as including them through out the process as well as providing the training necessary fo rthem to welcome the new system when it goes live. First, it is helpful for the enterprise to get a third-party review because they are paying to get an ERP implementation but they not know the percentage that goes to training, and that can make their investment non-productive, also it won’t satisfy ruin the organizational goals. The article defines it really well as a second opinion for the problem. Second, it exits a trend in not following the original business plan, implementing new processes without making sure that they will satisfy the business objectives. Therefore, resources are being used, without planning their recovery. Of course, this causes a negative impact on the company’s efficiency.